I’ve been wanting to do costuming from this period and this episode of Doctor Who gave me the perfect reason! The episode was the Woman Who Lived and aired 24 Oct 15. 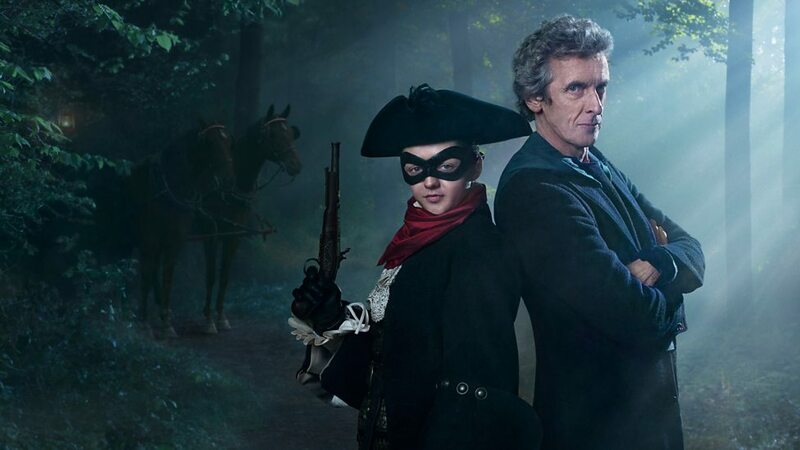 According to the Tardis wikia, the episode with Lady Me as a highwayman is set it 1651, but I think that number is a bit off (by about 70-80 years based on the cut of her frock coat and waistcoat). I was very pleased with how everything turned out. The frock is very heavy but has a great swing to it (and is lined – a first for me! ), the vest isn’t complete yet. I tried hand embroidery (too little time), ink stamping (too blah), so my plan is to get someone to digitize the circles, arrows & triangles for me and add the embroidery with my machine. The belt pictured above was borrowed from my friend, Coleen. The boots were great but they kept sliding down – I’ll need to experiment with ways to keep them where I put them. That may be what the straps they came with are for but I’ll have to experiment.